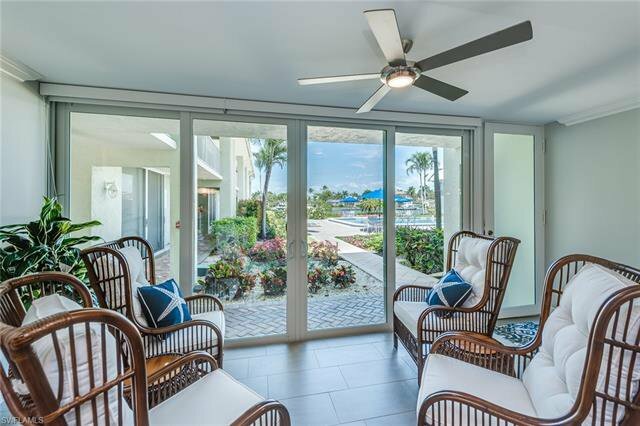 Located on the beautiful Moorings Bay, peaceful views and an active lifestyle await you. 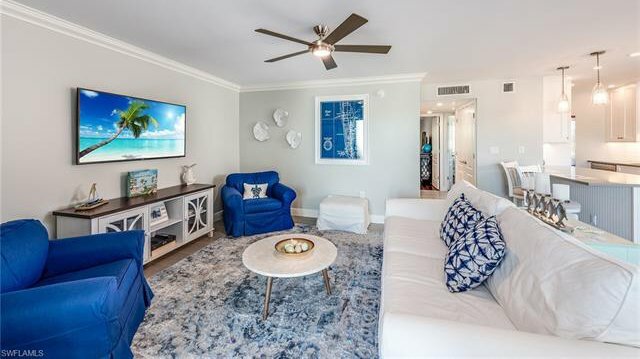 With an endless list of custom touches and the prestigious Sand Dollar Award from KGT Renovations, it is move-in ready. 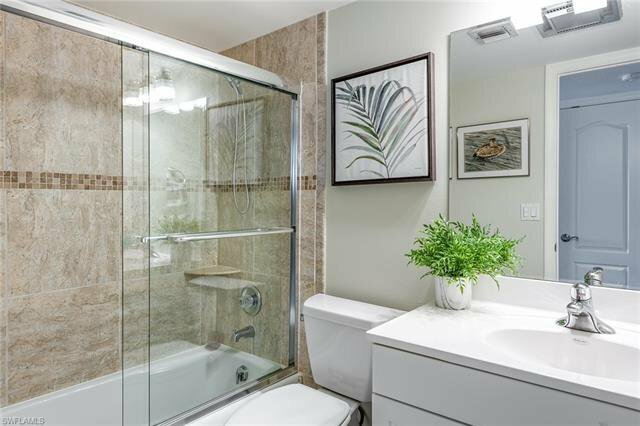 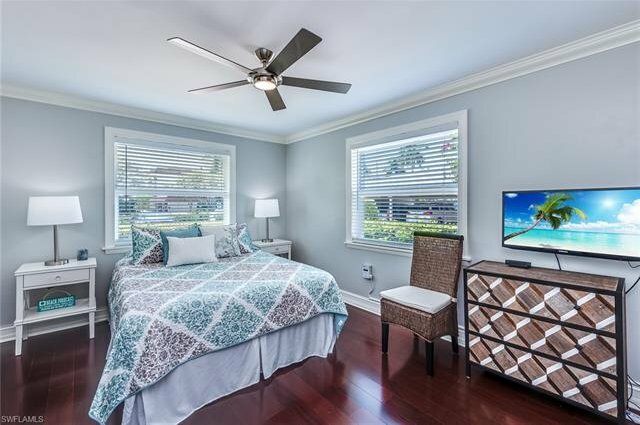 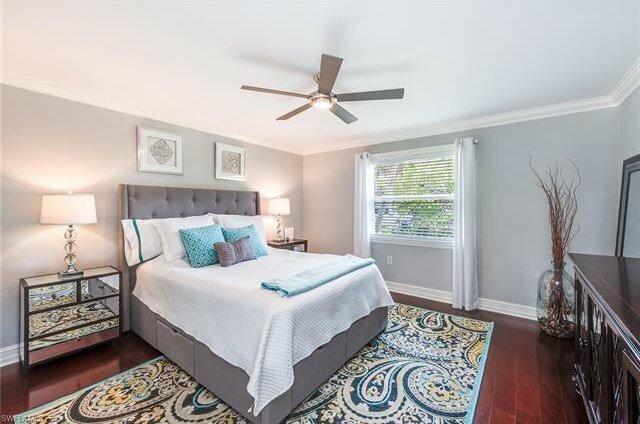 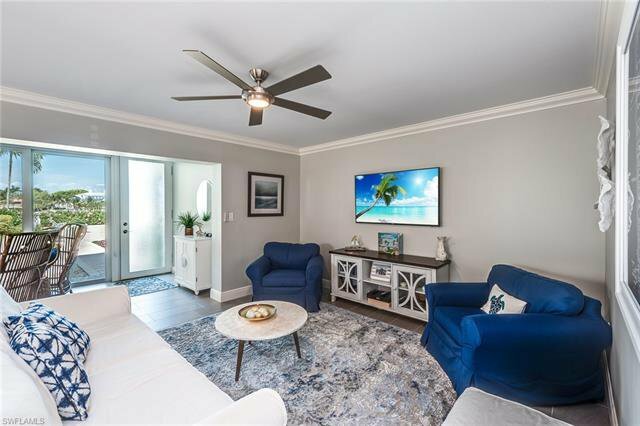 At first glance, you’ll notice the porcelain tile in the open living area, hardwood in the bedrooms, and crown molding and window shades throughout. 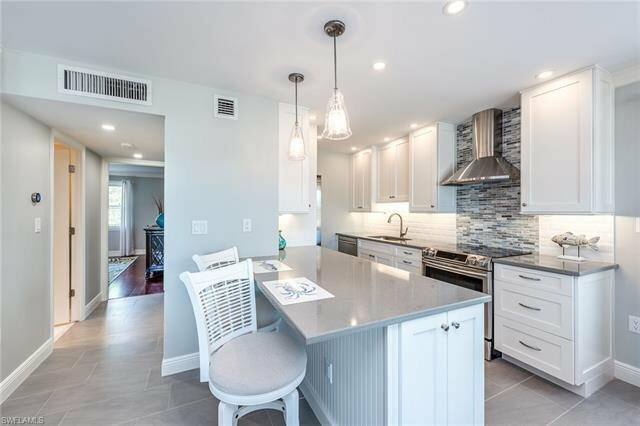 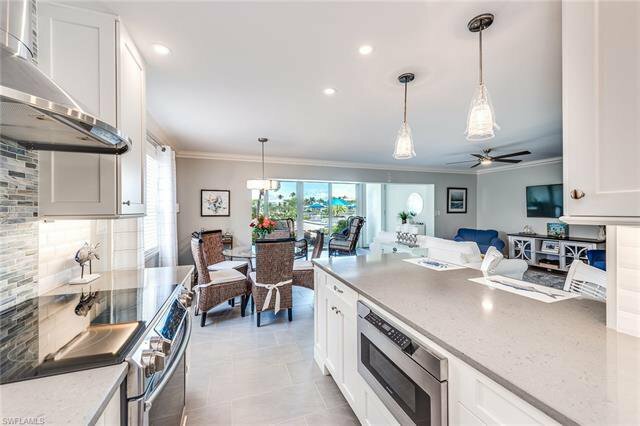 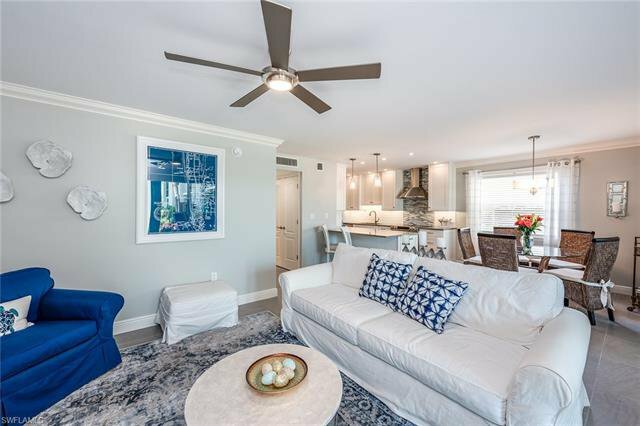 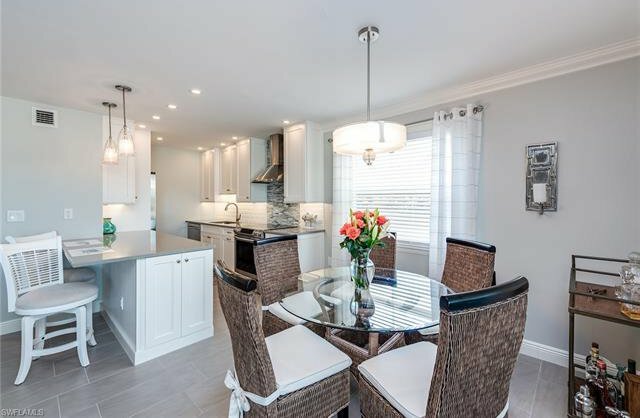 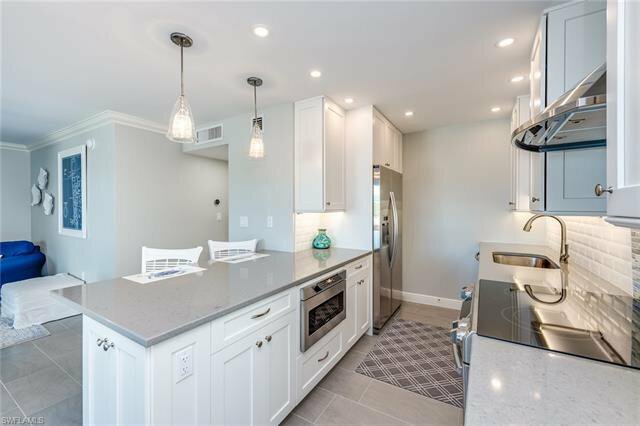 Then you’ll see all the extra details, like the LED dimmer lights in custom fixtures, under cabinet lighting and outlets, quartz countertop, touchless faucet, slide-out pantry drawers, microwave drawer, extended cooktop and range hood. 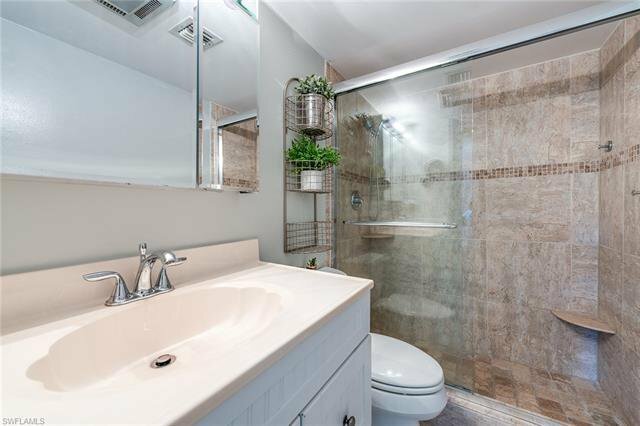 Also updated were impact resistant doors and windows, tankless water heater, A/C, electrical panel and Nest thermostat. 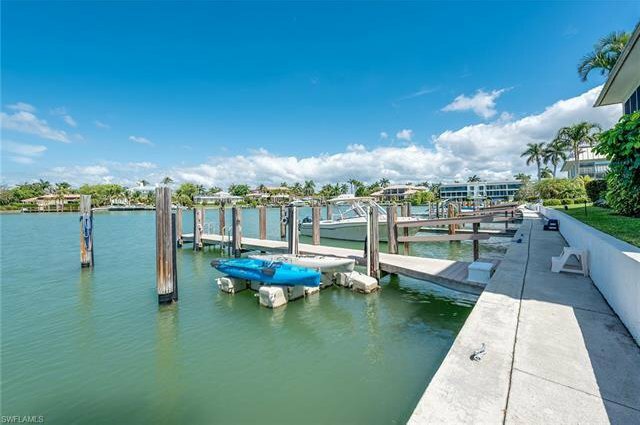 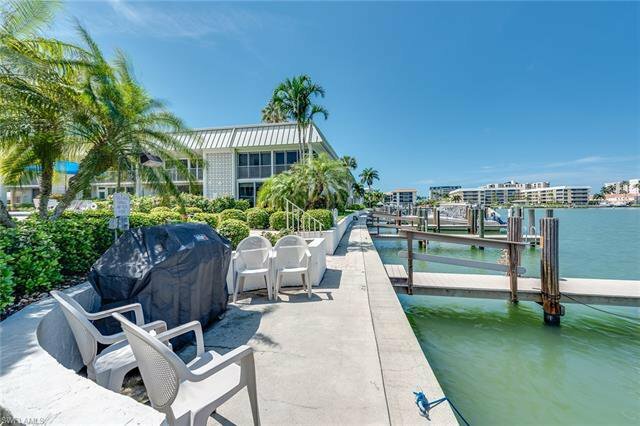 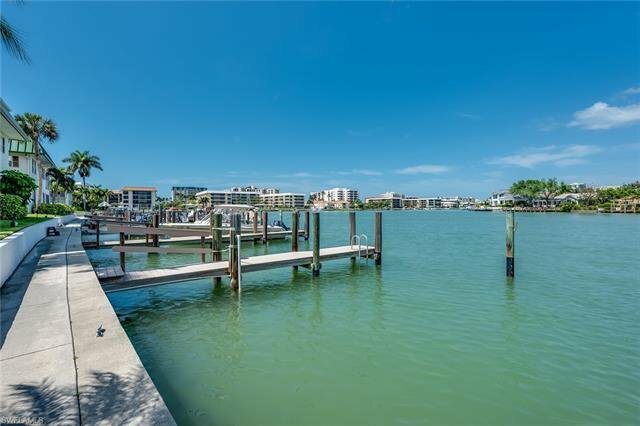 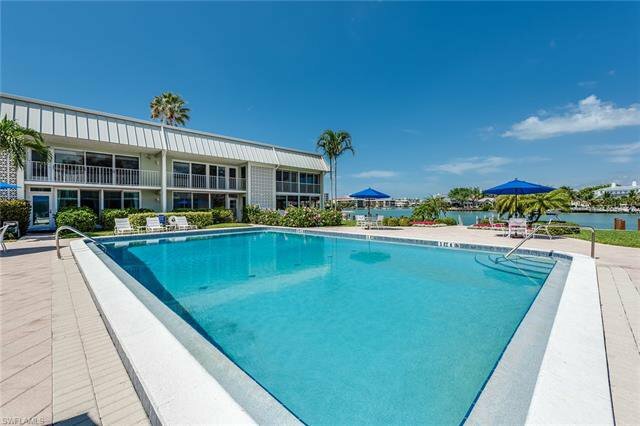 With a boat slip included, go for a sunset cruise with easy access to the Gulf or spend a day on the water, then relax in the heated pool and cook your catch-of-the-day on the gas grill. 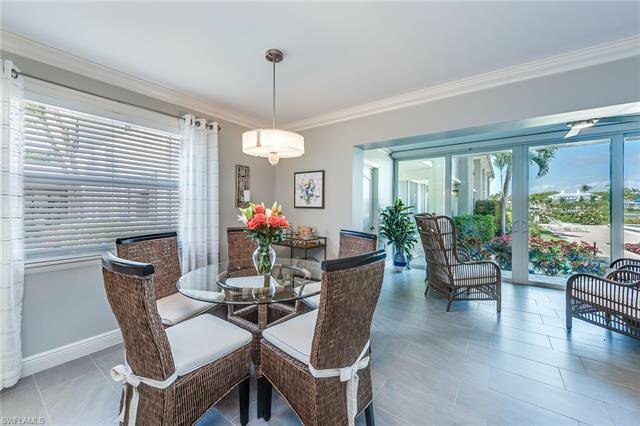 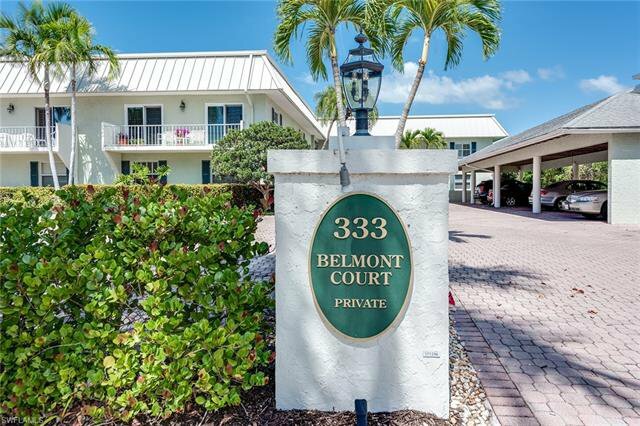 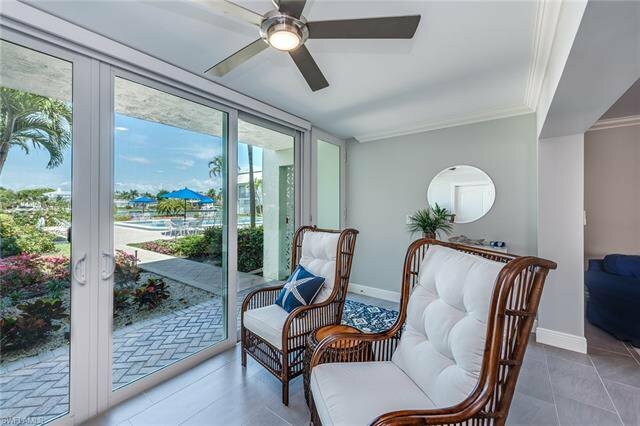 Belmont Court is low density with only 24 residences, is a short walk to the beach, and close to Moorings Beach Club, and the shopping and dining at 5th Ave or Venetian Village. 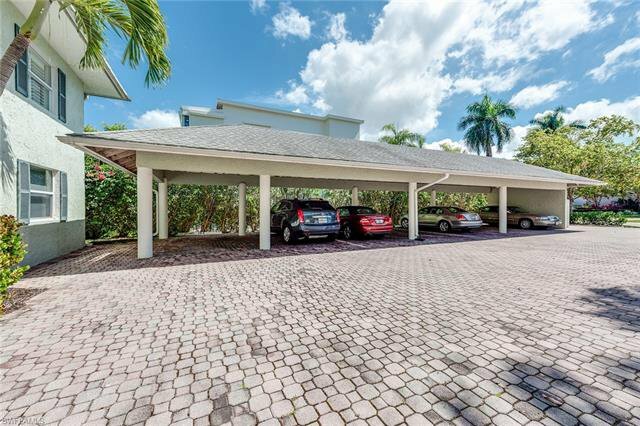 Owners also enjoy bike storage, hobby room and vehicle wash area, and can lease twice per year with a 90-day minimum.